Flipagram, a smartphone app that lets you create photo-video narratives complete with musical accompaniment, is now adding even more audio goodness to the mix. The company announced it has sealed global licensing deals with several major and independent music labels and publishers that will let users access millions of clips to use in their Flipagrams. Deals sealed with Universal Music Group, Sony Music Entertainment, Warner Music, Merlin and The Orchard, along with music publishers such as Sony/ATV Music Publishing, Universal Music Publishing Group and BMG allow full-catalog use of song clips in Flipagram photo-video stories. The National Music Publishers Association has also helped facilitate Flipagram’s new licensing agreement with its independent music publisher members. The pact benefits users in having a huge variety of music for their Flipagrams, and also benefits artists in providing an additional sales platform for their music via the Flipagrams that people create and share. 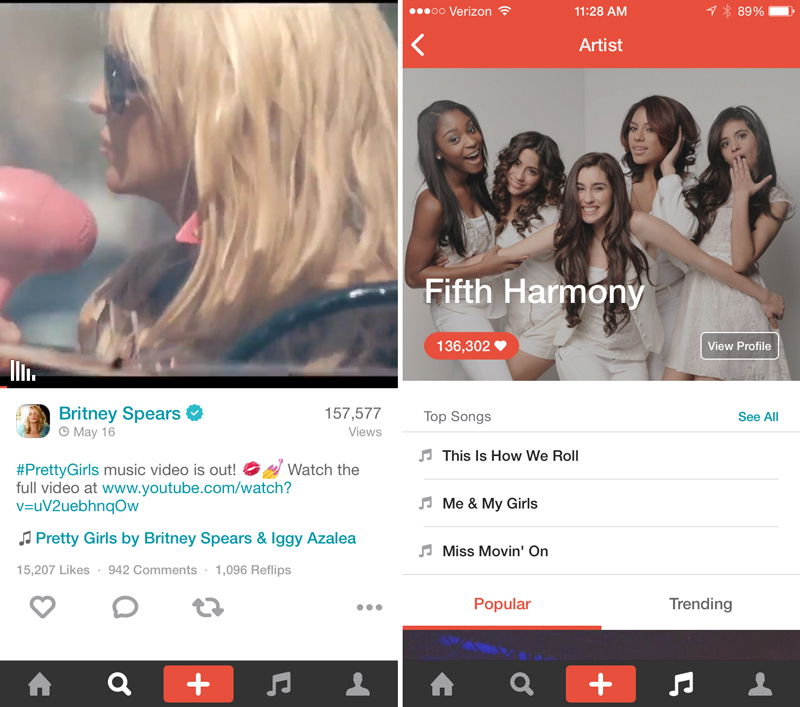 Flipagram can be seen as a short user-generated music video accompanied by links to buy or subscribe to stream the full song. 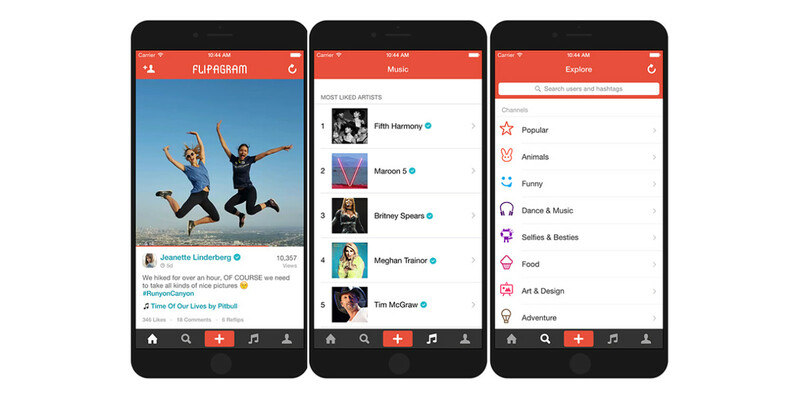 What makes Flipagram unique, says Mohit, is that music is at the core of the app — fitting naturally into the narrative — as opposed to being added as an afterthought to apps that focus on sharing photos, text messages, short videos or links. Flipagrams offer more narrative space than Vine or Instagram looping videos, but are shorter and easier to create and share than longer YouTube or Facebook videos and are designed as an innovative way to promote and discover music. Whole channels in the app dedicated to topics like Animals, Humor, Dance & Music, Selfies & Besties, Food, Art & Design, Adventure, Fashion & Beauty, Fandom, Family, Sports, and Health and Fitness. 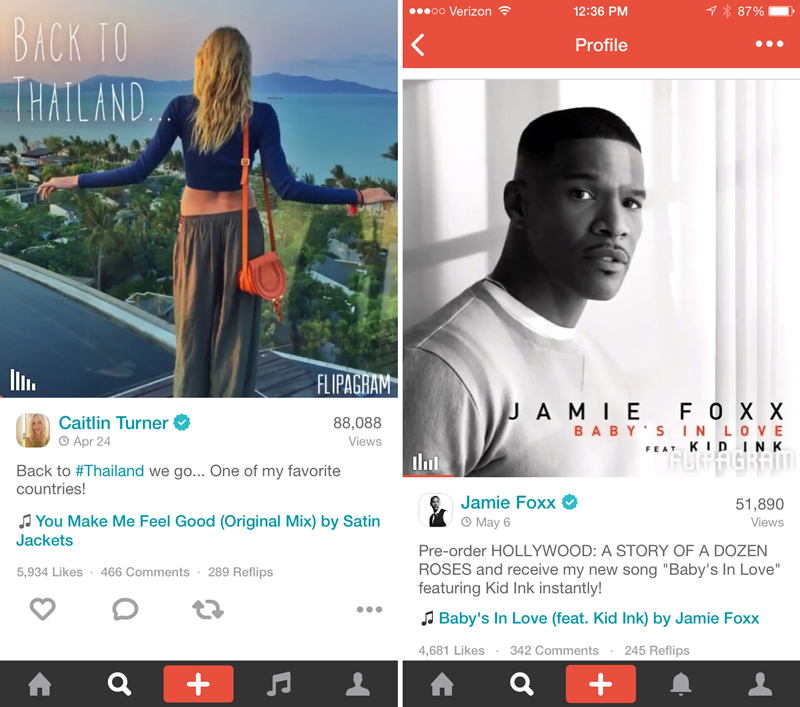 Popular Flipagrams can be ‘reflipped’ on the app and shared to other social networks. 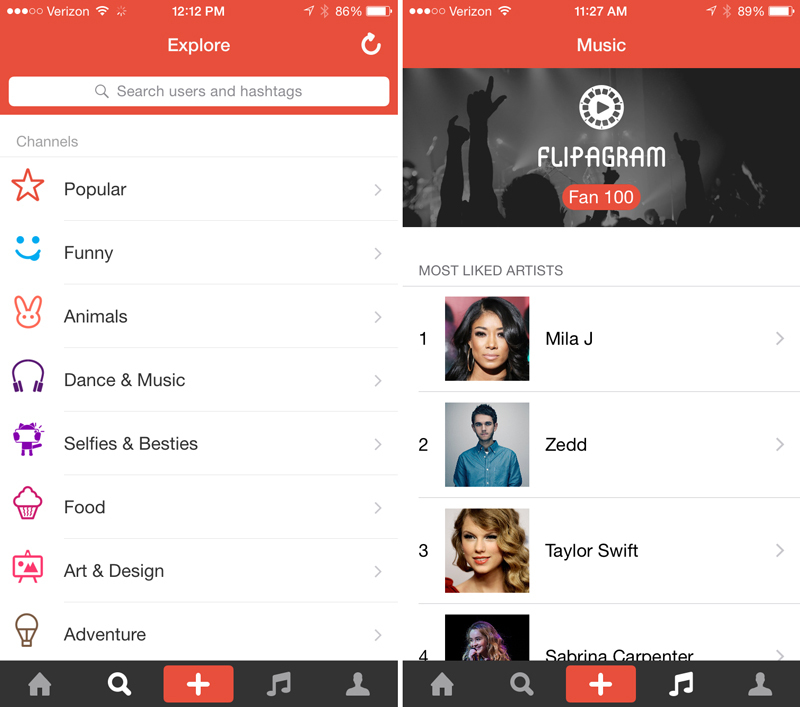 Flipagram is free for iOS, Android and Windows Phone.